We have been doing hair and makeup for all occasions for years! 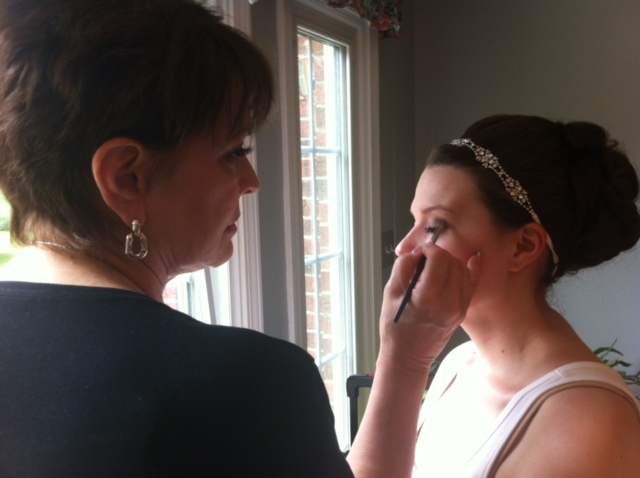 We love working with ladies who have a wedding or event where they want to feel and look beautiful. Our services include makeup using airbrush foundation and traditional high end products for eyes, cheeks and lips. We do everything from very natural looks for those who don’t usually wear a lot of makeup to a more dramatic look. For brides we provide a trial to talk with her and create what she is wanting. For hair, we design what she wants and feels comfortable with. We look at the pictures she provides and copy the style. Our work has been featured in numerous magazines, fashion shoots, and bridal expos. These include Indianapolis Monthly, Perfect Wedding Guide, Indianapolis Bride Expo, Dance Kaleidoscope, male broadcasters for local television events, and for a few local celebrities/personalities.